Sometimes flute players sound "gappy" or "bulgy" when they play. In this video, I give you a good demo of these types of playing. Plus I'll show you how a consistent air stream really makes this player sounds loads better! Do you sound a bit "gappy" when you play? Tell me below in the comments! 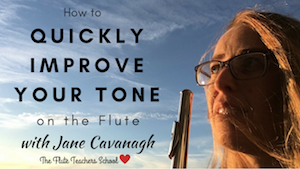 Want some easy exercises to really "smoothen" out your own or your students playing? 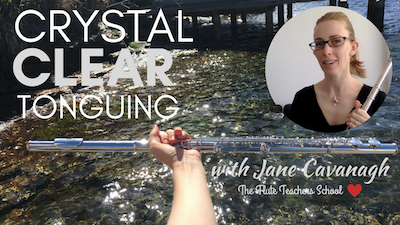 The Crystal Clear Tonguing course teaches you step by step techniques to do just that.